The warmest winter since 1907 in south-central Texas has left its peach crop with inadequate chill hours this year, reported Lynn Brezosky in the San Antonio Express-News. Without sufficient chill hours over the winter, the buds didn't get the re-boot they need to bloom in proper synchrony, which is important for blossoms to set fruit. The leaves have also been slow to emerge. "The trees look like it's still winter," said Jim Kamas, Texas A&M AgriLife Extenson horticulturalist. “The lack of chill hours is a big deal,” said Larry Stein, extension horticulturalist with AgriLife Research & Extension Center. The Texas trouble combined with a cold blast that destroyed half the crop in Georgia and North Carolina this spring mean peaches are likely to be in short supply this year. The sweet spot, Brezosky wrote, may be California, the No. 1 peach producer in the nation. Roger Duncan, UC Cooperative Extension pomology adviser, could think of no major problems affecting the southern part of the state's fresh market peach crop. “I think in general it's probably going to be just fine,” he said. 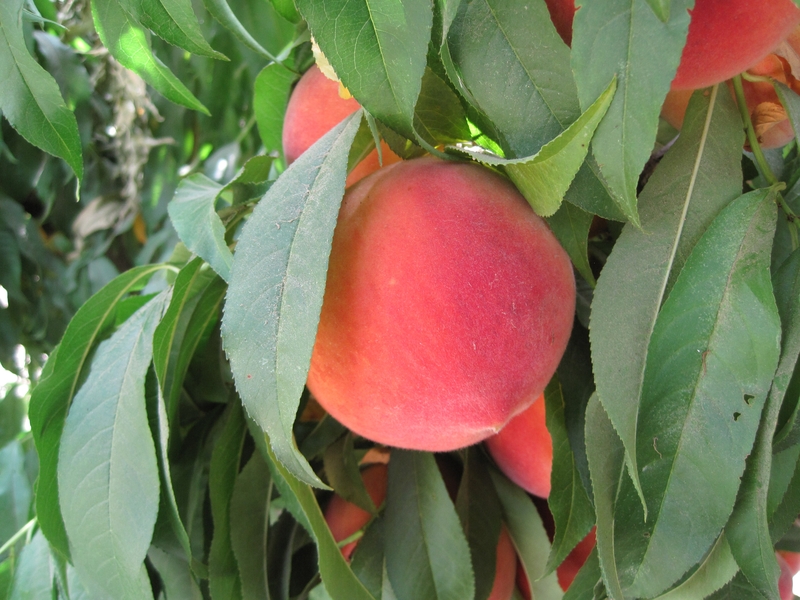 The Elegant Lady peach is one of many excellent varieties that are produced in abundance by California peach growers.